This time last year, Saido Berahino was one of the hottest young properties in English football. Fast-forward 12 months, and the West Brom striker isn’t quite so highly sought. However, the player’s unambiguous desire to leave could open the door for a Hawthorns exit this summer; incredibly, it appears that the 22-year-old might be heading to local rivals Stoke City. Since voicing his immense displeasure following the breakdown of a proposed move to Tottenham last year, Berahino’s relationship with the Baggies has been plagued by hostility from all directions. Those animosities ultimately resulted in a return of just four goals in 28 Premier League appearances last term, 10 less than he’d registered in the previous campaign, leading to huge frustration at the Hawthorns.The youngster’s position as the club is now untenable, and a summer departure looks certain. Despite the poor showing in 2015-16, Berahino would prove a risk worth taking for any club. Spurs had previously pinpointed the Baggies star as the ‘new Jermain Defoe’, and he boasts the cerebral assets required of a lethal striker: Berahino is rapid, especially over the first 10 yards. He also possesses a keen eye and is comfortable shooting on sight with either foot. At times, that eagerness has led to criticisms of selfishness but that’s a quality that all top strikers need. And it might be the virtue needed to thrust the Potters to the next level in 2016-17. Mark Hughes has worked wonders at the Bet365 Stadium, building on the foundations laid by West Brom boss Tony Pulis to establish Stoke as a genuine top 10 side. The Welshman has successfully guided the Potters to a ninth-placed finish in each of his three Premier League campaigns while initiating a more attractive brand of football at ST4. Those progressions have been characterised by the arrivals of Bojan, Ibrahim Afellay and Xherdan Shaqiri; Berahino would be fit the bill for what the 52-year-old manager is attempting to accomplish, and a transfer index rating of 2.2 suggests that he’s given serious consideration to a potential summer swoop. 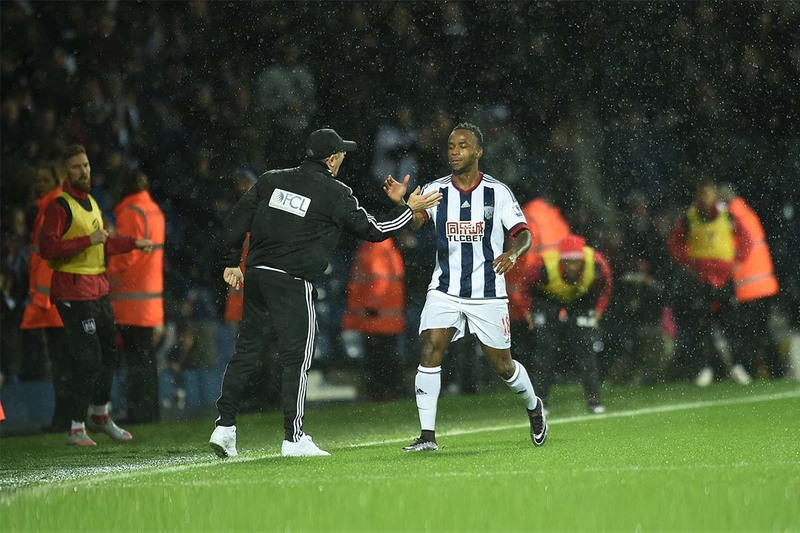 The most appealing aspect of any move for Berahino will be the price. With just 12 months remaining on the player’s West Brom contact, potential suitors are well placed to negotiate a cut-price transaction. Reports regarding a suitable bid have fluctuated anywhere between £5m and £15m. Even at the top end of the scale, it would be a bargain in comparison to the figures being touted this time last year. For a young English talent that has already proven his ability to score goals in the Premier League, it has the potential to be one of the signing of the summer. Question marks over Berahino’s mentality could be a turn off, but the youngster will have learnt from those naïve past mistakes. At 22, his ambition for next season will be a return to goals with regular first team football at a club in the ascendancy. With Stoke genuinely aspiring to become a team capable of Europa League qualification, the project would certainly appeal. More importantly, Hughes is the type of man manager that could give the fallen England hopeful the affection needed to rebuild a slightly tarnished reputation and resurrect the dream of becoming a senior international footballer. The great thing about Berahino as a player is that you know what you’re going to get. Stoke’s technically superior midfield should complement those fast, aggressive runs with far greater success than a Puils-managed West Brom. Whilst the striker has to accept the majority of the blame, his decline hasn’t been helped by the ultra defensive and stifled creativity of the Baggies. After all, the former England U21 man isn’t the first striker to fall victim to the Pulis mentality. As a deadly striker in his playing days, Hughes will have no confusion over Stoke’s need for a regular goalscorer in attack. Whilst Marko Arnautovic notched an impressive 11 league goals from the left wing, the Potters failed desperately in their bid for a potent central threat. The quartet of Mame Biram Diouf, Jonathan Walters, Joselu and Peter Crouch mustered just 14 goals between them last term. If Sparky can plug that gap with the required firepower this summer, it could make all the difference in the club’s attempts to qualify for Europe through their Premier League triumphs. The Baggies won’t want to sell but know another year of service will essentially cost them a multi-million pound sale. Considering the player doesn’t want to stay, any suitable bid will be accepted – even if it comes from a rival. Any move for Berahino would be a risk, but it’s a calculated one on Stoke’s behalf too. Goalscoring strikers don’t come cheap, and the chance to snap up an English star with the potential to score 15 goals a season would be far too alluring to ignore. Stoke are on the cusp of something truly special, and Berahino could provide the Potters with that extra piece of magic. There’s still a long way to go before speculated interest turns into a concrete transfer but it has the potential to be one of the most intriguing stories of the summer. You can keep track of all the developments with our transfer predictor index.